The Equus Coaching® experience is a powerful hands-on learning environment which will allow you to viscerally witness you own “energy state” in real-time. 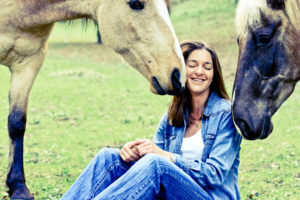 Below are a variety of experiences for you to discover Equus Coaching for yourself. Return to Your Original Language—The Language of Energy. Join Koelle at Londolozi Game Reserve this August for a very special gathering. We will come together for a 4-day, 4-night retreat to restore the mind, body, and heart. In this intimate setting, in one of the wildest places on the planet, we will expand our understanding of the original language of energy, learning directly from wild elephants herds. 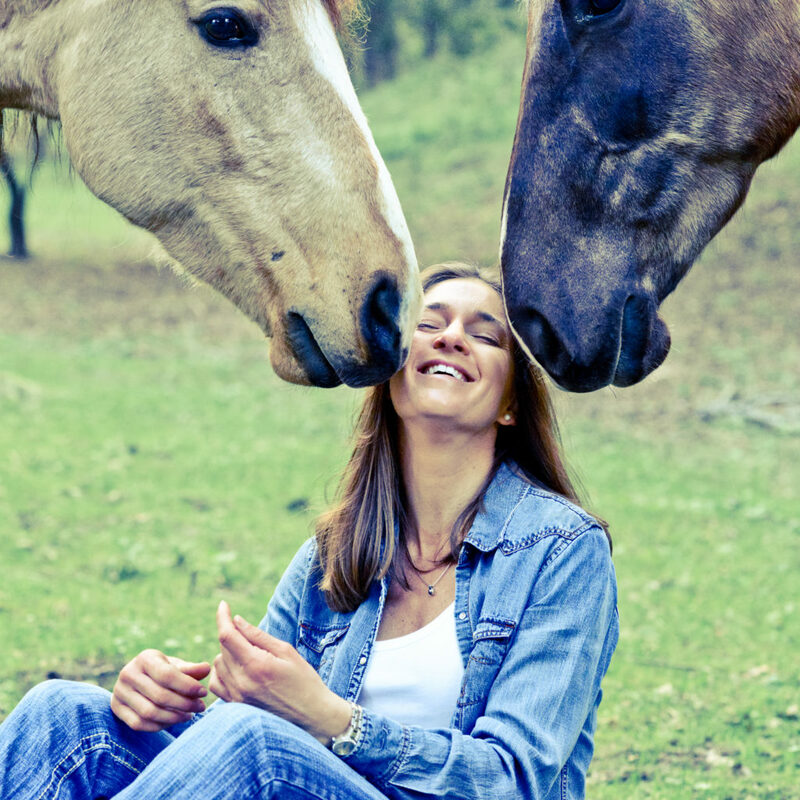 Join world-famous author and play specialist, Fred Donaldson, and renowned Equus Coach, Koelle Simpson, for a magical weekend to explore the power of play. In the gorgeous natural setting of Apache Springs Ranch in the Santa Rita Mountains of Arizona, experience Original Play combined with the unique insights and wisdom of horses. Play reduces stress, anxiety, and defensiveness and increases self-confidence, emotional flexibility, and the ability to adapt to new environments and life circumstances. It is the foundation for learning, creativity, and self-development. Come experience a new way of being and engaging with life in a safe, fun, and dynamic environment. Come discover the wisdom and power of play! You’re invited to reconnect with the deep wisdom inherent in nature to find genuine calm in the midst of chaos (be it personal, professional, political). 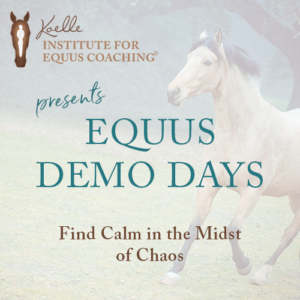 We want to share the transformative benefits of Equus Coaching at an Equus Demo Day, presented by Koelle Institute for Equus Coaching® in partnership with Master Facilitators around the world. Are you interested in having Koelle Simpson come to your part of the globe to share the Equus Coaching experience with you? If so please join our Australia/New Zealand Interest List or UK/Europe Interest List and we will be sure to contact you when the next event in your area is scheduled.